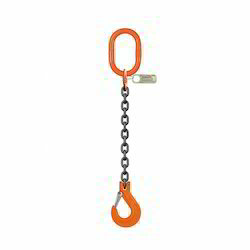 We are engaged in the manufacturing and supplying of a wide range of Chains & Chains Slings, which is widely appreciated for its robust construction and corrosion resistant features. qualitative parameters as well as their utilitarian aspects. 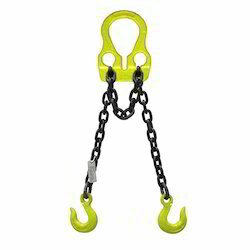 We are providing a comprehensive range of Endless Chain Sling with Connecting Link to our respected clients. These are highly praised for its sturdiness and robust construction. Offered products are highly used in industries with different applications. 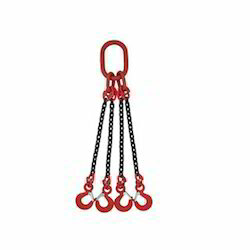 Our range also includes Endless chain sling, Single and multi-leg sling, Connecting link and long and short limit chain. 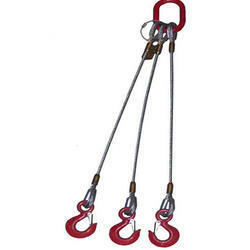 We are experts at offering Two Leg Wire Sling. 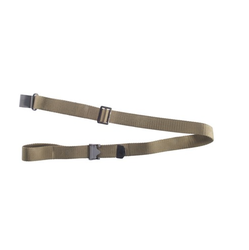 We are engaged in manufacturing and supplying supreme quality Three Leg Chain Slings that are manufactured using premium quality raw material. 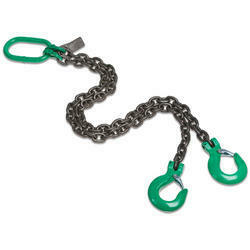 We are experts at offering Single Leg Chain Slings.